We have had a number of readers and personal friends ask us where to buy the cheapest monster box of Silver Canadian Maple Leaf coins, and since Silver is down a bit we thought we would find an answer to that for today. 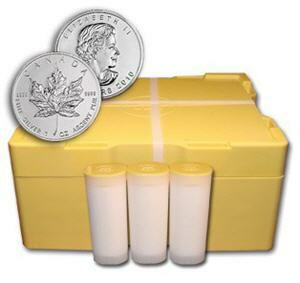 When it comes to buying monster boxes of Silver coins we are pretty much unprejudiced regarding Canadian Maple Leafs versus U.S. Silver Eagles. Since you get the same amount of Silver either way, the Canadian Maple Leaf is the cheapest monster box of the two, with Silver Eagles costing about $0.70 more. Therefore, today’s quest was for the cheapest, reliable company to buy the Silver monster box of Maples from. 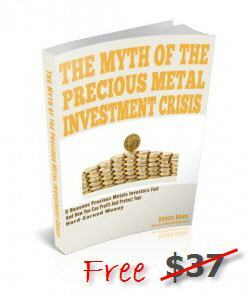 The thing with Silver is that it’s heavy, so shipping costs need to be considered. In fact, one company we have dealt with previously we see now has instituted a pickup discount, if Phoenix happens to be convenient for you. So here is a table showing the pricing we found on Monster Boxes of Silver Canadian Leafs. You will note at the bottom that we had a 3 way virtual tie for cheapest monster box. We called it a tie because the price of Silver did fluctuate back and forth a few cents as we were doing the comparison and didn’t take the time to calculate the precise dollars and cents above spot Silver price. There have been ramblings about silver shortages, but these companies all seem to have lots of Silver in stock. A further recommendation is to verify approximate delivery dates. When we have bought from Northwest Territorial Mint in the past, and granted a time or two physical Silver was hard to come by, we had to wait MONTHS to get our metal. Having to wait that long for delivery of your Silver can really test your trust factor, especially when buying one or more monster boxes which can add up to a sizable amount of money. It really shines a light on a company like Texas Precious Metals (see our review of them here) who will provide free OVERNIGHT delivery with something this heavy. I believe that all three companies who tied for cheapest monster box price will, with wire transfer payment, get you your metal within days. Yes, wire transfer is a pain and costly, but that eliminates their risk of you and gives them the ability to trust you in a business where lots of folks try to scam them.